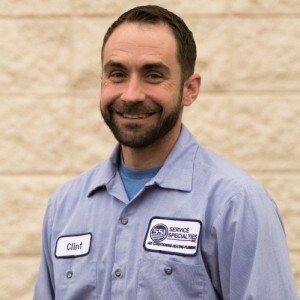 Joe W has a 5-Star rating and leads the company in total reviews, making this pro a ReviewBuzz Rockstar! Joe has been with SSI for 5 years and in the industry for 20 years. He is very familiar with the comfort concerns of our Northern VA Clients and will do anything to get their home where they want it to be! In his off time, he likes to help out at the church and spend time with his wife and daughter. This company is the best company (HVAC or otherwise, for that matter) that I have dealt with in decades actually (30 years living in Centreville). Renee and the rest of the office staff kept me aprised of Joe's arrival time for a follow-up, post install check of a complete new Trane heating and cooling system. He was initially the tech who came out a week before to diagnose my old failed Trane system. He thoroughly went through the old furnace finding a failed control board, but even worse, several corroded cracks in the heating chambers which we both saw on his remote camera. Then most recently, Joe W's 20 years experience quickly found a small rattle inside the new furnace which we both knew wasn't normal for Trane. Moreover, the HVAC installation team from the prior week, Eric & Jacob were equally impressive with their knowledge, attention to detail, and job site cleanliness upon completion of the work (which took less than a full day). Eric and later on, Joe, both spent all the time needed to answer any of my questions regarding the internet-remote capable thermostat. My last Trane system was over 23 years old with only minor ignitor troubles in all that time. I'm so glad that I chose to stick with this specific product and SSI who is highly knowledgable of Trane systems or any other HVAC for that matter. I absolutely got what I paid for this time! Other "highly recommended" local companies I've dealt with (including for this event) let me down, big time. Thanks SSI team. You folks rock--from the office to the field teams!! Prompt, professional, and gave me QUICK repair/replace options without any sales pressure. I really could not have asked for more! SSI Plumbing service is excellent. I have a service plan so I get quick, courteous service. Michael is awesome and very knowledgeable. 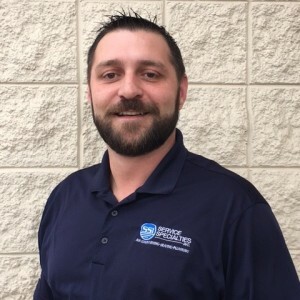 I have been using this service for several years and it is nice to know that I have a great resource to contact if I have any plumbing issues. I also use SSI for my HVAC and Joe has been awesome with every visit for semi annual service and any in between issues. Very courteous and knowledgeable about HVAC systems. Great company to do business with. I can always count on Joe W. to keep our system running smoothly. In addition to the biannual contract checkups, I rely on Joe to diagnose and repair any issues we may have, which have fortunately been far and few between as he keeps a close eye on everything. He tells me the how and why of what he services and offers suggestions to get the most from our system. Our HVAC system is the most important and valuable piece of equipment in our house. I feel confident knowing that it is well taken care of by Joe. In addition to being an excellent technician, he is a pleasure to have in my home. Clean, neat, respectful and always, always, always cheerful. The team was great. They were able to get out the same day, diagnose, and fix the HVAC issue in one afternoon. They were true to the time window and had reasonable prices! We had SSI out today to service our AC unit. Joe W came out and took care of our issue quickly and efficiently. Moreover, he was friendly, service oriented and knowledgeable. A rare combination of qualities in service people. We have used SSI for years and the consistency of excellent service continues! Great Customer Service! The technician friendly and explained the issue. Joe Williams is the consummate professional who knows HVAC. For me, he turned a bad situation into a positive. I highly recommend him! SSI has done major HVAC and water heater installations for me. Results were excellent. Company is professional, and the prices are far better than the standard. Technicians are obviously highly trained and experienced. Sales department is no pressure and provided thorough information on products, installation and pricing. 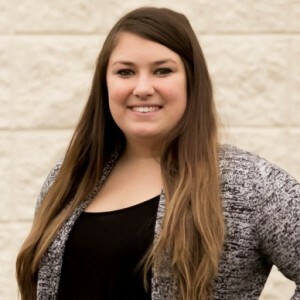 The Technician was very knowledgeable, friendly and helpful in the service of my furnace/AC. I would highly recommend this company over all in my area for your service and repairs. Prompt service, this company really embraces technology and this in turn really elevates the customer experience. Technicians always appear to be well trained and represent the company well. Very pleased with office staffs communication. Truly refreshing to feel like a valued customer. Pride in ownership really shows through with this company! Had service performed by SSI today. The technician was Joe W. He arrived promptly on time, diagnosed and competed the required service quickly. He took time to explain the problem and the resolution. Joe was very friendly and was very knowledgeable, and seemed to enjoy his work. Joe and other SSI technicians and supervisors at the office have been extremely pleasant to work with during the recent installation of our two HVAC units. Their friendliness, efficiency, courteous service are truly a testament to founder of SSI who prided himself with excellent personal service to all his customers. My wife and I are proud to recommend SSI for all your HVAC needs. 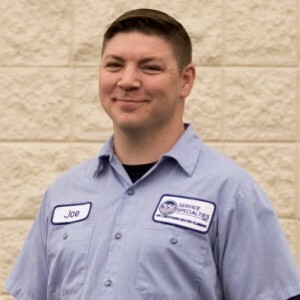 So glad that Joe W. was the Service Specialist to inspect/service my HVAC system. He is the consummate professional - knowledgeable, thorough, and also personable. 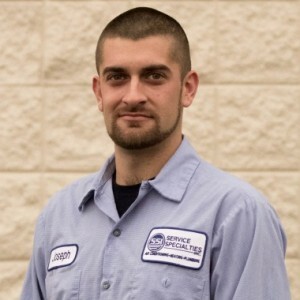 I want Joe W. to be my Service Specialist for future inspections/services. Both people I dealt with were very helpful, very professional!! 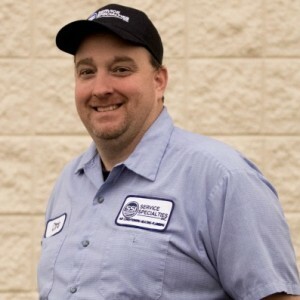 The service tech Joe W. was very personable!! I would recommend them to anyone in need of any HVAC services! !